Earlier this month we shared five Mario Kart 8 courses shared by Nintendo in the form of rather presentable screenshots. We'd hoped it would be the start of a gradual reveal of many more of the upcoming tracks, yet our waiting has been rewarded with just two additional courses; the reveals stopped on 7th March. Rather than wait for more — which could go on for weeks — below are the two tracks posted since that last article, perfect for some relaxing Sunday dreaming of what's to come in the much anticipated Mario Kart 8. These two courses don't account for all of the tracks we've seen, of course. The various trailers — including the most recent at the end of this article — have given glimpses of some extras, while re-worked classics have certainly been spotted. Nevertheless, the two additional reveals via the Wii U UK Facebook page give us a nice view and names for these two tracks. You can see them below, taking the Facebook reveals to seven in total — we're assuming there'll be 16 new tracks, as has been the norm in recent generations. Those with eagle eyes can possibly account for double figures in terms of brief glimpses of new tracks, though not all have been shown. In any case, below are Cloudtop Cruise and Bone Dry Dunes, with the latter pointedly leading to a drying up of fresh looks for the past week or so. Let us know what you think of these two courses in the comments below, while once again we can all enjoy the latest gameplay trailer. 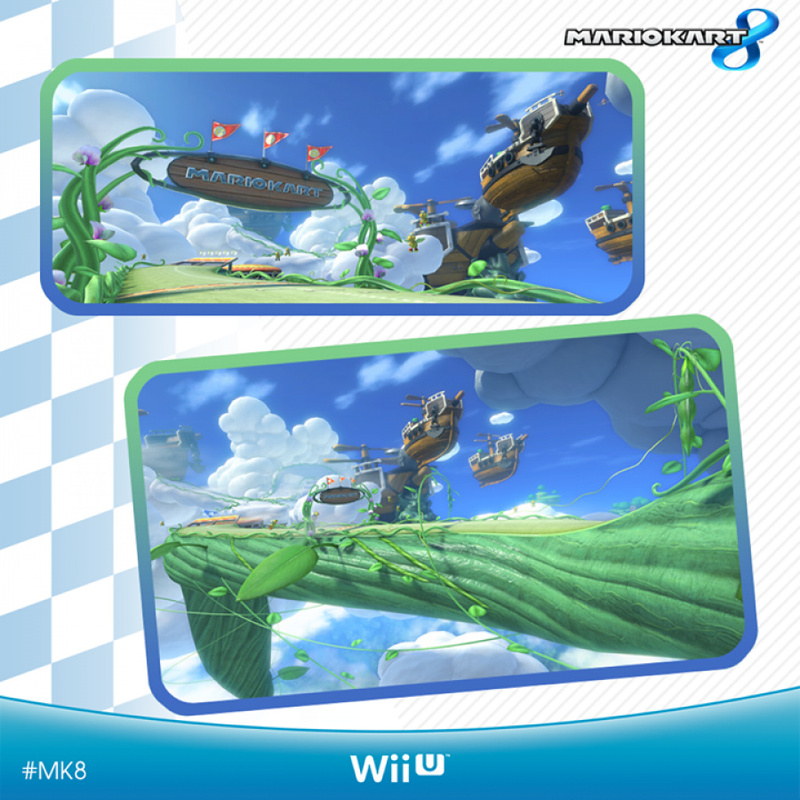 Cloudtop cruise looks like Beanstalk park from Kirby air ride!, cool. Can't wait to see Cloudtop Cruise in action.. This is next gen racing! I like Bone Dry Dunes for its sunset effect. This game is gonna be so much fun. Cloudtop Cruise is certainly gorgeous. Those tarps (or whatever they are) in Bone Dry Dunes look a little... off. This game is going to be freakin' AWESOME!!! These tracks look amazing. If i get a Wii U, this will be first game i'll be playing. Makes me kind of sad that Mario Kart Wii didn't show off the Wii's muscle quite like this game is. It's... Just so beautiful... Seriously, this is how to do HD, I haven't been excited for a new Mario Kart in awhile. Beware of HanSolo57 and Giggler once this game hits May 30th. Sugar Rush one from last time is still my favourite. Was watching Speed Racer last night, i can't wait for MK8. @Undead_terror That was my first impression as well. There may be hope yet for a sequel! @IxnayontheCK You mean Sweet Sweet Canyon? XD Sugar Rush is from Wreck-It-Ralph. I NEED this game! I've had the limited edition page on the Nintendo store for ages now! All the courses look amazing! Surprised there is no poll. Although there are only two tracks to vote for. Bone Dry Dunes looks better to me but I'm still excited for Cloudtop Cruise. This game is so beautiful! This game is really gonna show off Wii u's true power along with smash bros! I honestly would do anything for a time machine right about now. The more I see about this game the more I want to play it! Is it just me? Or does this game make you want even harder for Wii U F-Zero???? Recently revived my Gamecube and man that was an awesome machine, and F-Zero GX is quite possibly THE best racing game ever made. It NEEDS a sequel and bringing to the thirsty Wii U audience like you wouldn't believe. Both Stages in particular are great. Can't wait. Not one racing stage look average. ALL look Great. Bone Dry Dunes looked the least impressive to me though. Sub Coaster and Toad Harbor look the best to me. @Spuratis We did in the second trailer. It was the last scene that revealed Rosalina. And also, if you listen to the music at the end, it's a mashup of Sky Station Galaxy and (of course) Gusty Garden Galaxy. Does it feature any retro tracks? I'm looking forward to this! Two months more and soon! Does bone dry ruins remind anyone else of star wars? I really am digging the courses that Mario Kart 8 has to offer. Looking pretty damn awesome, now we're talkin! I'm so glad I own a Wii U! Monster Hunter and Donkey Kong, Monster Hunter and Donkey Kong, Monster Hunter and Donkey Kong... that's all one needs lol... And soon, Mario Kart. Buying a WiiU just to play this game! Course I'll need to buy Smash Bros and Tropical Freeze... Can't wait! Fun fact: Cloudtop Cruise looks a lot like a throwback to Super Circuit's Sky Garden. Good to see the GBA iteration finally getting some love! One thing I haven't heard yet is if we will get 4 player local multiplayer, or 5. Seems like with the gamepad screen, 5 is possible. Just like with the new Smash Bros., I love to see good looking new things like this, but I try to avoid looking at all the new things the show, because I feel like there will be a little less surprise when I finally play them. i need to play this with my girlfriend... lots of hours with fun... i still enjoy MK Wii. Haven't played a Mario Kart game since Double Dash, look forward to this one. Really hope we get the Coconut Mall in HD but I doubt it since it was on the Wii and 3DS versions. Mario Kart 8 is going to be so much fun, just make it last as long as the "8" implies.. ..like forever! 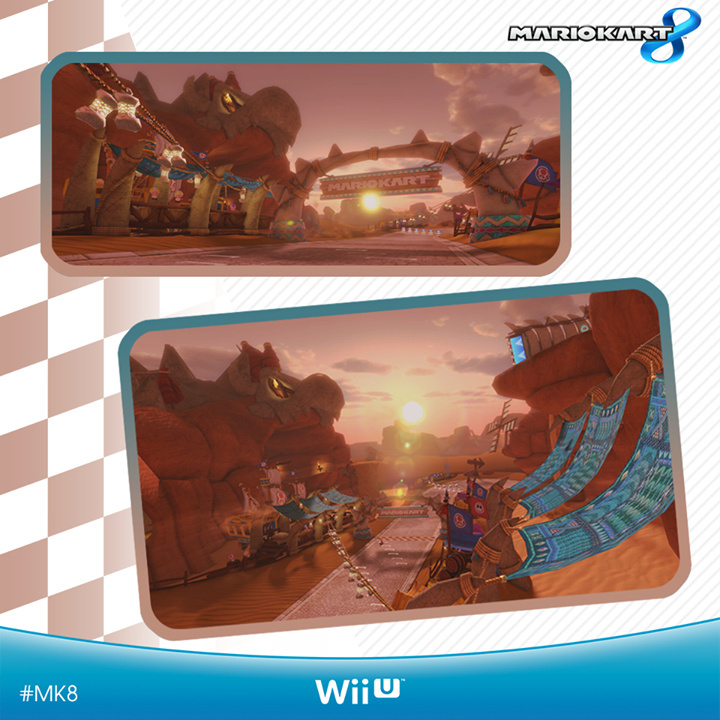 Mario Kart Wii had a good run, so I hope Mario Kart 8 will perform at least as good! 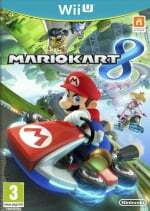 "below are the two tracks posted since that last article, perfect for some relaxing Sunday dreaming of what's to come in the much anticipated Mario Kart 8.". Lol, I was doing just that last Sunday in bed while looking at my MK8 poster! Ordered the Limited Edition with t-shirt and key ring bundle from Nintendo Store. Bone Dry Dunes looks amazing. Why did i instantly think of Skies of Arcadia ? Cloud top cruise looks awesome. I wonder if you could circle the beanstalk on your cart. that would make an interesting aesthetic.